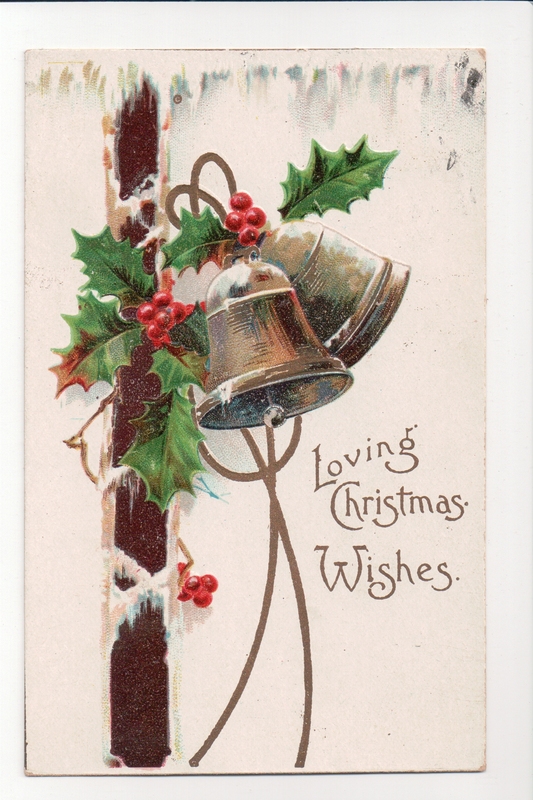 Among the postcards in my grandfather’s collection is this lovely set of bells. They look to be mounted to a doorway, to jingle merrily whenever someone comes in from the snowy cold. 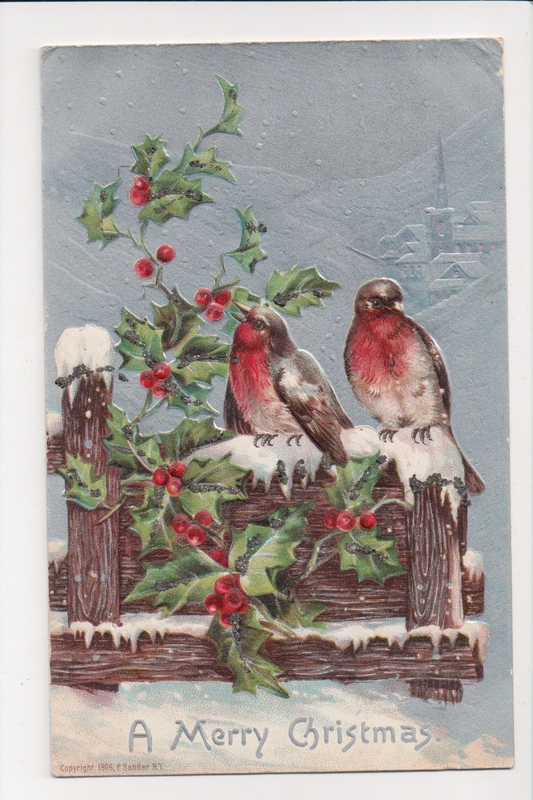 This card is lightly embossed to give the holly sprigs a bit of dimension. 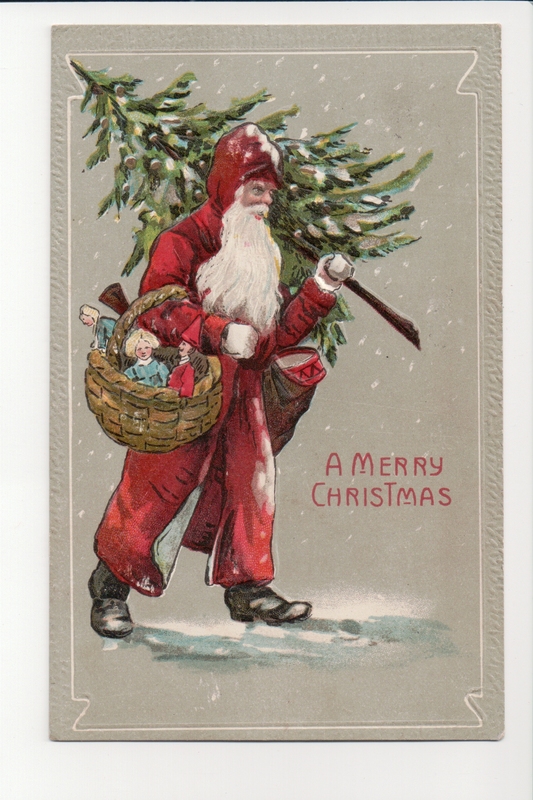 It was sent to six year old Donald Minor by his Aunt Sarah McClure from her home in Carmichaels, Pennyslvania on December 23, 1908. 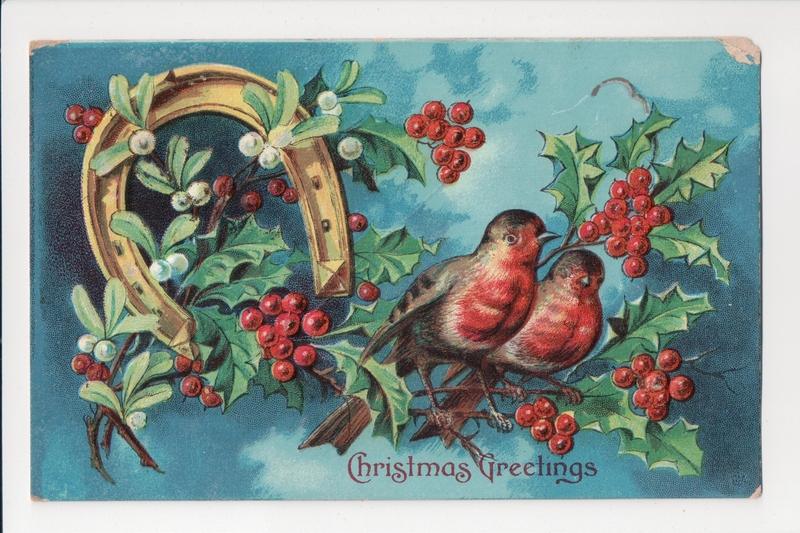 One of the most fascinating designs on this card appears in the upper left hand corner – on the back. The publishers trademark of the International Art Publishing Company is itself a work of art: an eagle sits atop a globe, which is ringed by a painter’s palette and a quiver of paintbrushes. In the words of Aunt Sarah, Merry Christmas and a Happy New Year! May Good Luck and Christmas Greetings Fall Upon You! 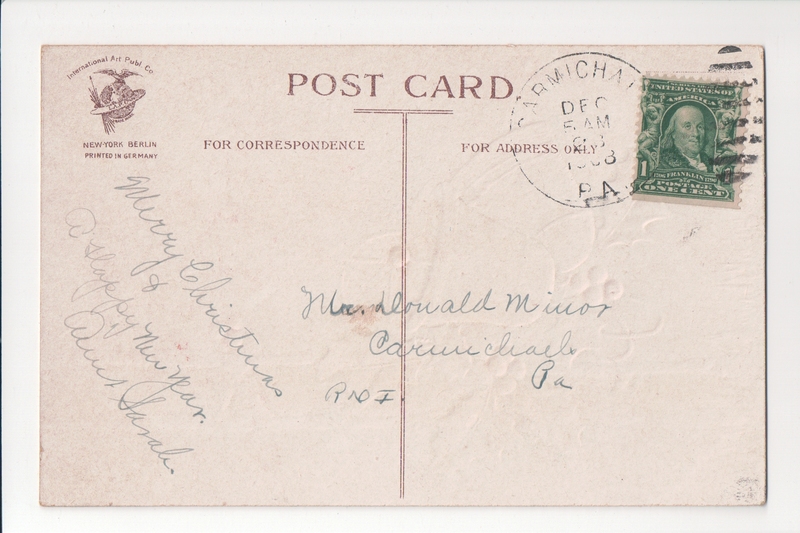 Donald C. Minor received this card from his cousin Ralph December 20, 1910. There are other postcards from Ralph and his younger brother, Blair, in my grandfather’s postcard collection. Using the search engine of Ancestry.com I entered Ralph as living in South Connellsville, PA in 1910 with a sibling, Blair. 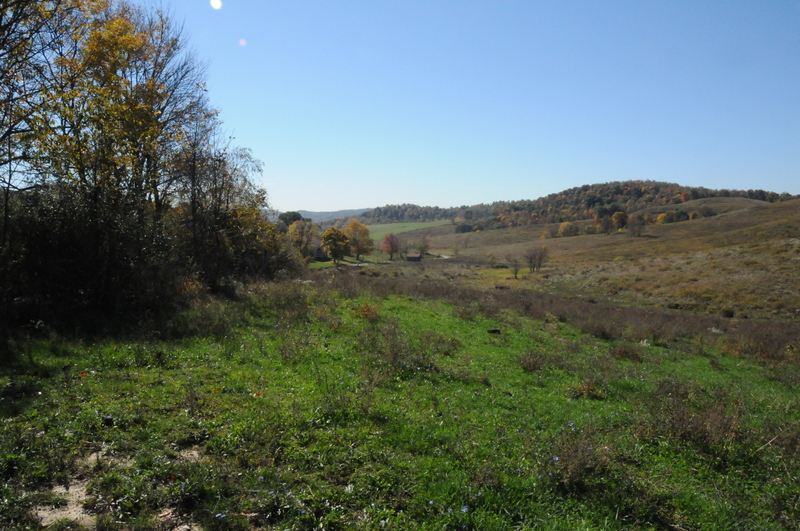 The return included a interesting match: Ralph Younkin, 10, son of Milton R and May Waychoff Younkin, living with Blair, 8, and grandmother, Jennie Waychoff, in Connellsville, Fayette County, Pennsylvania. I have researched the Minor family fairly well, and the Younkin surname is unfamiliar. Donald’s mother is a Stephenson, and I wonder as I research her background if Younkin/Waychoff will show up. 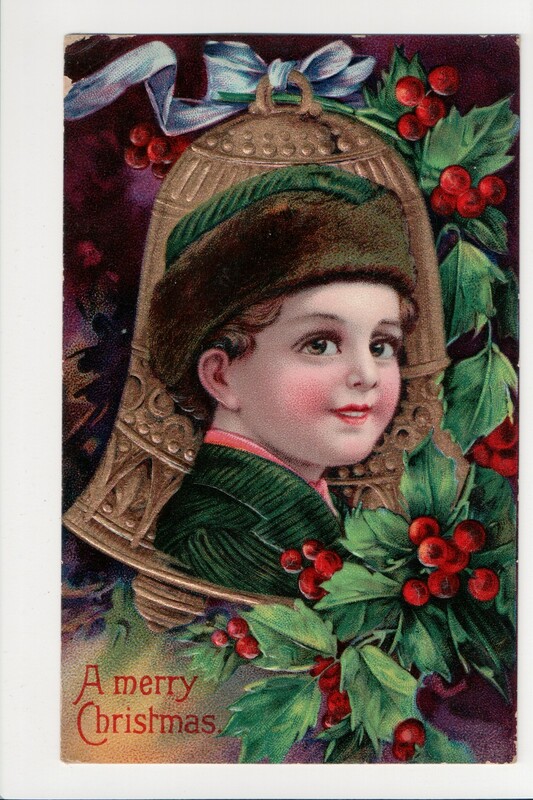 Interesting how a fascination with Christmas postcards intertwines with a family history. Merry Christmas, indeed!